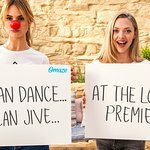 CharityBuzz.com is giving you and a guest to bid on a pair of tickets to the London premier of Mamma Mia! Here We Go Again on July 16, 2018 at Hammersmith Apollo in London. At the premiere, you’ll have the opportunity to meet Colin Firth. Mamma Mia! Here We Go Again is an upcoming romantic musical comedy film directed and written by Ol Parker. It is a sequel to the 2008 film Mamma Mia!, which is based on the musical of the same name. The film stars Amanda Seyfried, Lily James, Christine Baranski, Julie Walters, Pierce Brosnan, Colin Firth, Stellan Skarsgård, Dominic Cooper, Andy Garcia, Cher and Meryl Streep. 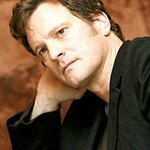 A classically trained British theatre actor, Academy Award winner Colin Firth is a veteran of film, television and theatre, with an impressive body of work spanning over three decades. He has appeared in three films that have won the Academy Award for Best Picture: The King’s Speech, Shakespeare In Love and The English Patient. Colin’s performance as King George VI in The King’s Speech garnered him an Academy Award as well as a Golden Globe Award, Screen Actors Guild Award, British Independent Film Award, Critics’ Choice Award and his second consecutive BAFTA Award in 2011. Colin also won the BAFTA Award in 2010 and the Volpi Cup for Best Actor at the 2009 Venice Film Festival for his performance in Tom Ford’s A Single Man. Proceeds from this auction will go to Help Refugees, an organisation working to fill the huge and terrifying gaps in services for those displaced by war in Europe and beyond. To find out more, and to make a bid, click here. But be quick, the auction ends July 10.